Samsung's new 360-degree convertible looks great. Samsung’s Notebook 9 Pro has traditionally aspired to premium notebook status, but without the pricing that goes along with it. 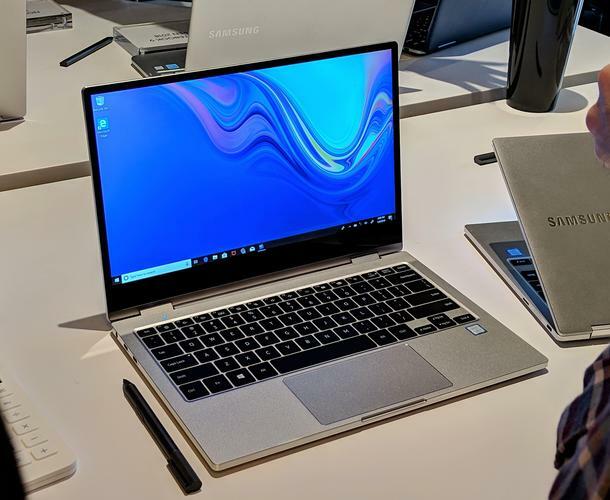 Samsung’s updated Notebook 9 Pro (2019) is an attractively designed 360-degree 13.3-inch convertible that builds in Intel’s “Whiskey Lake” Core chips. Unfortunately, we can’t be too confident in Samsung’s pricing ambitions, since the company didn’t make the price available to us at press time. Samsung did say, however, that the company plans to ship the Notebook 9 Pro in early 2019. The diamond-cut grooves on the Samsung Notebook 9 Pro’s edges give it surprisingly pleasing aesthetic. Aesthetically, the Notebook 9 Pro has improved dramatically from when we last looked at it in 2017. The 2019 model is made of aluminum, with a diamond-cut series of ridges running along the edge. Yes, it makes it slightly easier to raise the cover than a smooth finish, but the lines give it a retro-modern aesthetic it that somewhat reminds me of the polished steel of 1950’s steampunk. Samsung apparently traded off more battery life in favor of a lower-resolution display. 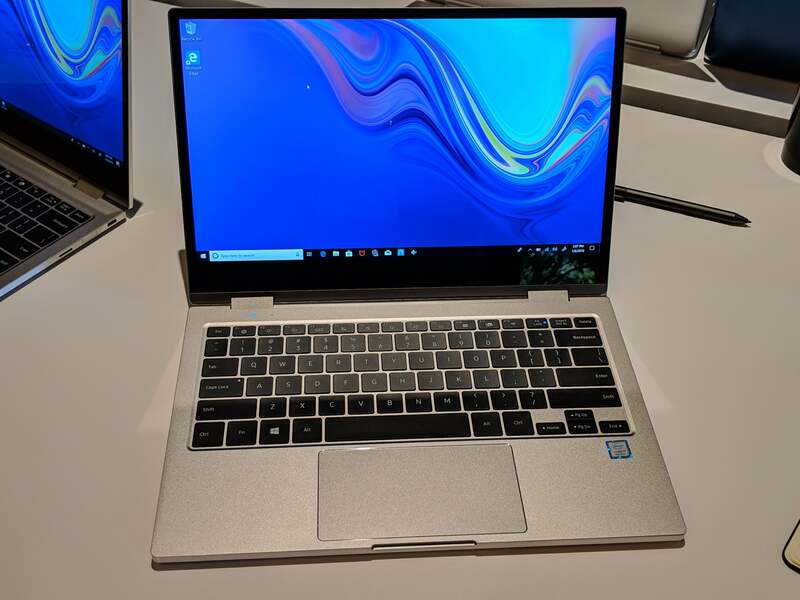 The Notebook 9 Pro’s display is only 1080p, but with a bright 350-nit output that showed off the display well outside during an uncommonly overcast day in Las Vegas. 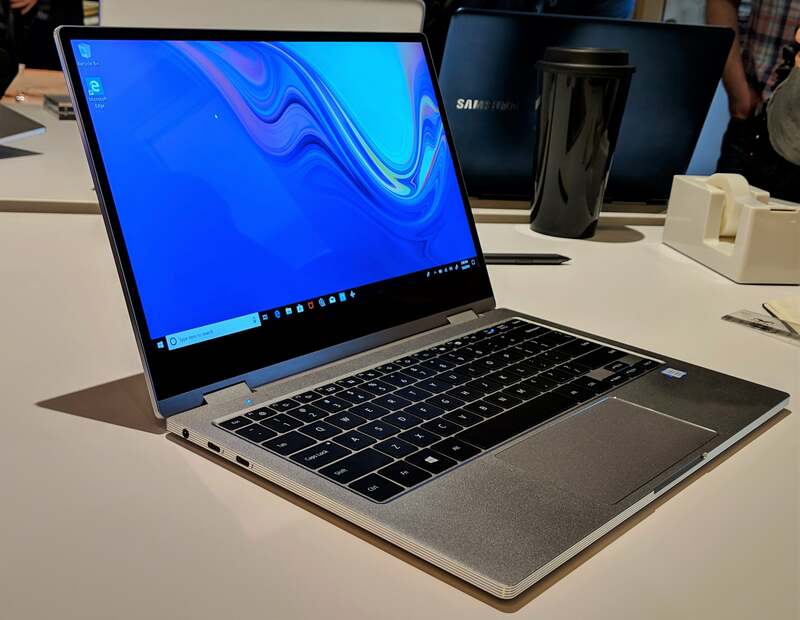 Like many of the notebook PCs being shown here at this year’s CES 2019 exhibition, the Notebook 9 Pro is a platform for the latest Intel “Whiskey Lake” processors, which offer a 10 percent performance boost from their previous generation. While the 2017 edition of the Notebook 9 Pro included a discrete GPU, this time around you’ll have to make do with the integrated UHD 620 GPU. Though the Notebook 9 Pro (2019) weighs in at 2.84 pounds, it didn’t feel overly heavy in my hand. Since it’s a convertible, that’s important; there may be times that you’ll swing it around to use it in tablet mode. While the Samsung Notebook 9 Pro does ship with a Samsung Active Pen stylus, there doesn’t seem to be any built-in holster to store it in, unlike the related Samsung Notebook 9 Pen laptop. 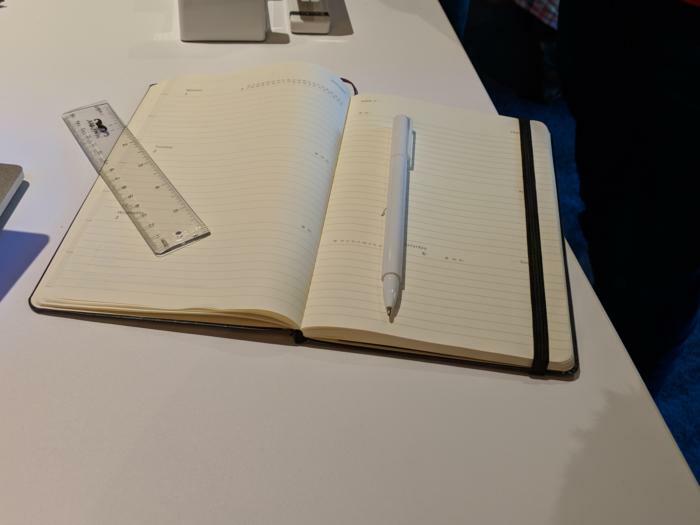 The Samsung Notebook 9 Pen includes a stylus. Samsung didn’t provide any specs on the keyboard travel, though it felt a little shallower than I’d like. The backlit keys were laid out well, however, providing a spacious landing pad for my fingers to rest upon. 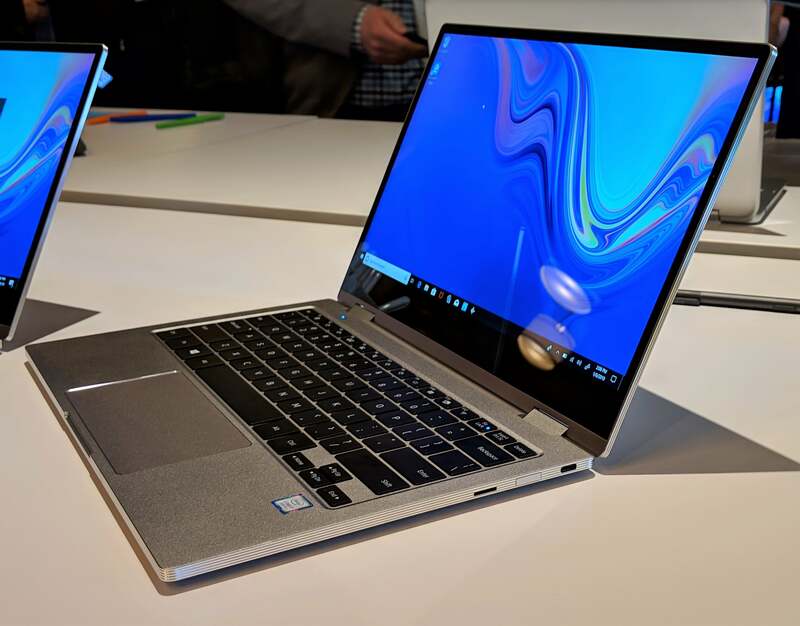 Samsung doesn’t offer Dolby Atmos-powered audio on the Notebook 9 Pro (2019), though it does ship with a pair of speakers and a “Thunder Amp” to increase the maximum volume output. The Samsung Notebook 9 Pro had a fairly comfortable keyboard to type upon. Dimensions: 12.1 x 8.1 x 0.55 in.